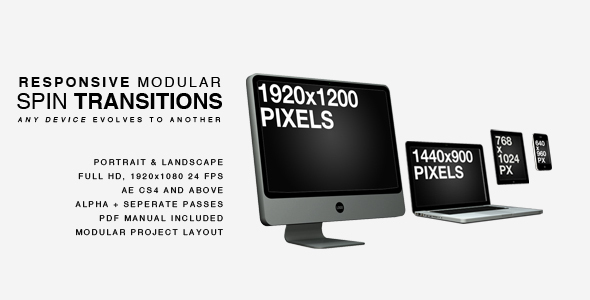 Show the “Flexibility” of your App or Website using these Modular device transition sequences. Re-arrange the devices and the transitions will stay smooth. Too much Reflection? Shadow? AO? Want to change a Background? Sure thing! Separate Pre rendered passes are included. Each device animates in 24 frames and out in 17 frames. or Video editors who need to animate & visualize a responsive website. Use any Website screenshots within the devices. 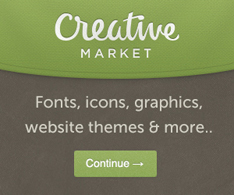 Perfect for WordPress, Joomla, CMS, Drupal Developers who want to portray the flexibility of their Plugins or Themes. Built in a Modular format so it can easily be duplicated, shortened, or extended. Includes a PDF Manual to get you started quickly. You can time-remap each Compositions’ “Hold Pause” between transitions to display your App or Website for longer.